may have represented their country at international level. Named after the shape of the bow limbs as they curve back on themselves. Can be one piece or built-up from two limbs and a riser body. Beautiful traditional one piece bow typically made of Hickory and Lemonwood. 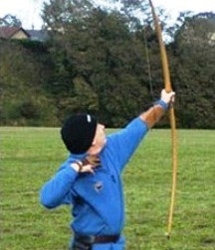 Mastering the longbow takes time, great skill and strength. 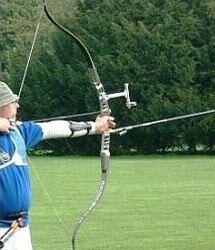 Employing a system of cams and pulley that changes the power characteristics of the bow. 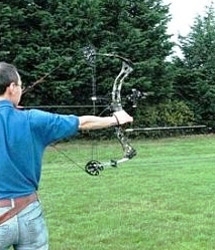 This allows more time for aiming at full draw without tiring the archer. There are also four main disciplines: target, field, clout and flight. 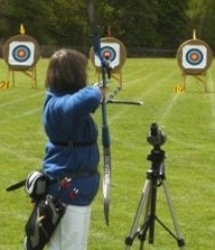 Set rounds shot indoors in winter and outdoors during summer (as shot by Alison Williamson in the video clip below). 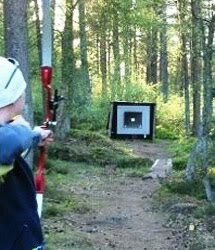 A combination of different targets and faces at different distances in mixed terrain and elevation. Where the target is marked out on the ground with a coloured flag. The arrows closest to the flag score the highest points. 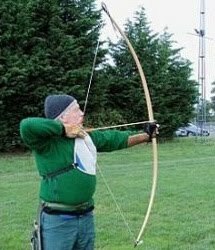 Flight is where the archer tries for the furthest distance an arrow can travel. medalist at Athens 2004 Olympics) and her video guide.